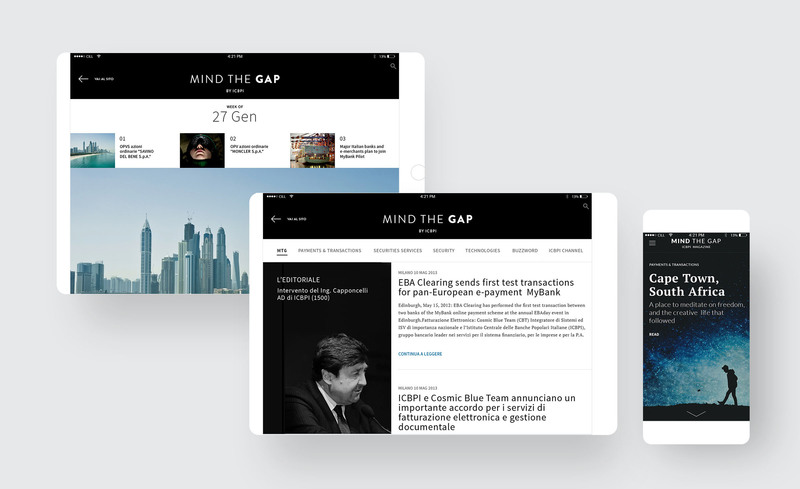 Mind the Gap is the new digital magazine ICBPI, an Italian bank, for which I have studied the concept and visual design. 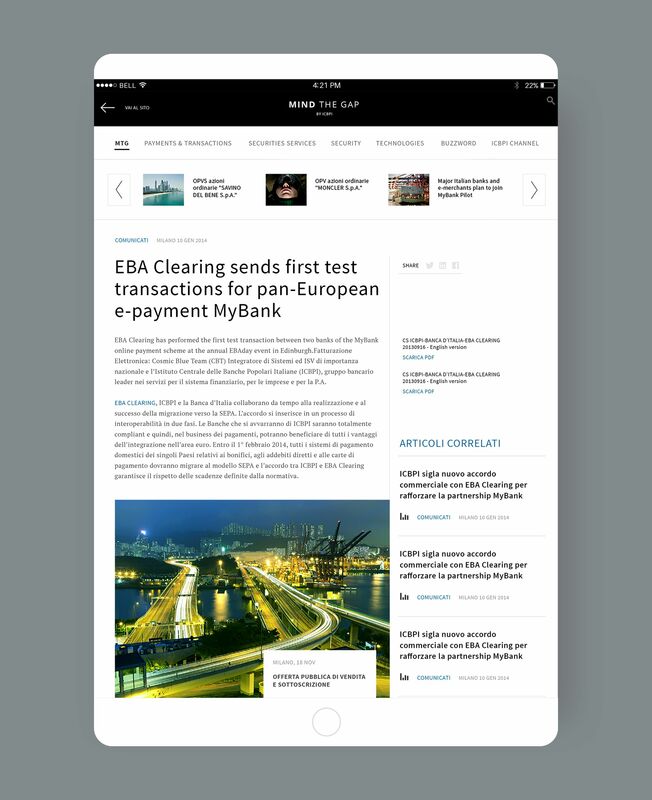 The magazine was launched on the occasion of the restyling of the site of the ICBPI Group and both are responsive until tablet version. 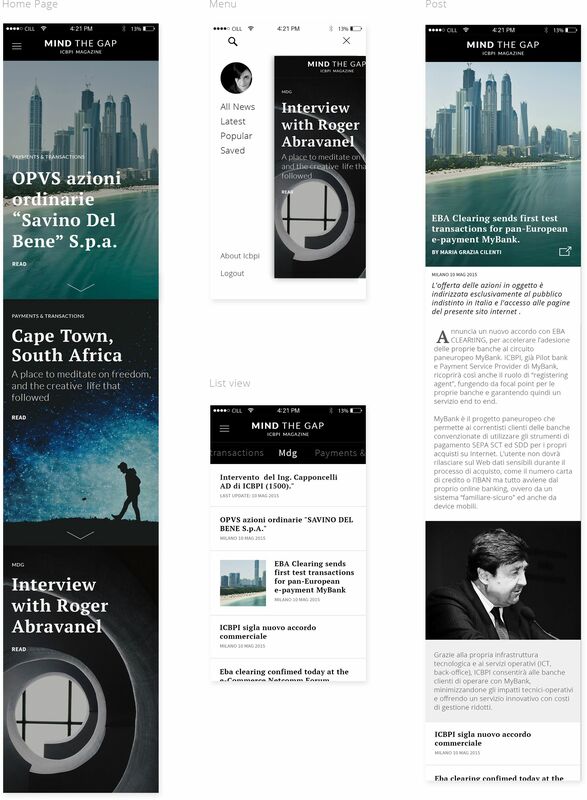 For the Smartphone I designed the application that works for ios that Android.